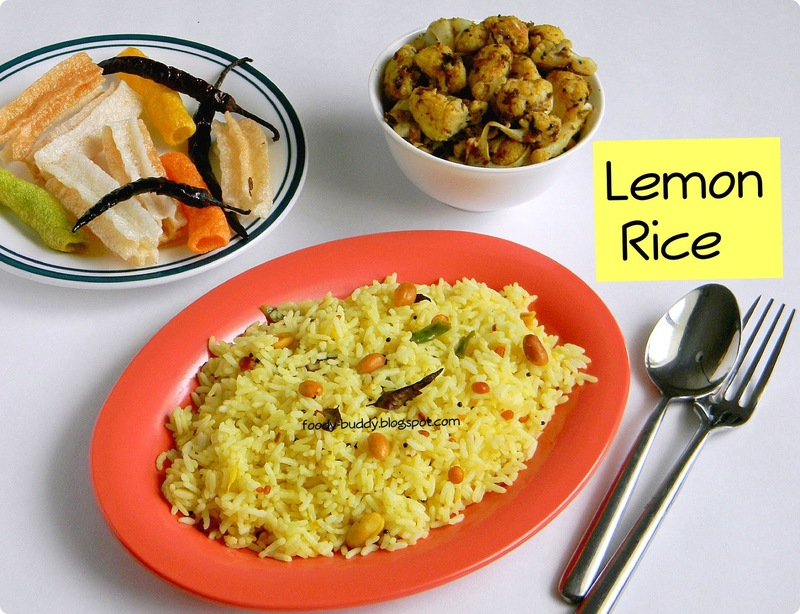 Lemon Rice is a South Indian Recipe that can be done in matter of minutes.You can also make it with leftover rice. Also you could get this as Prasadam in Temples. 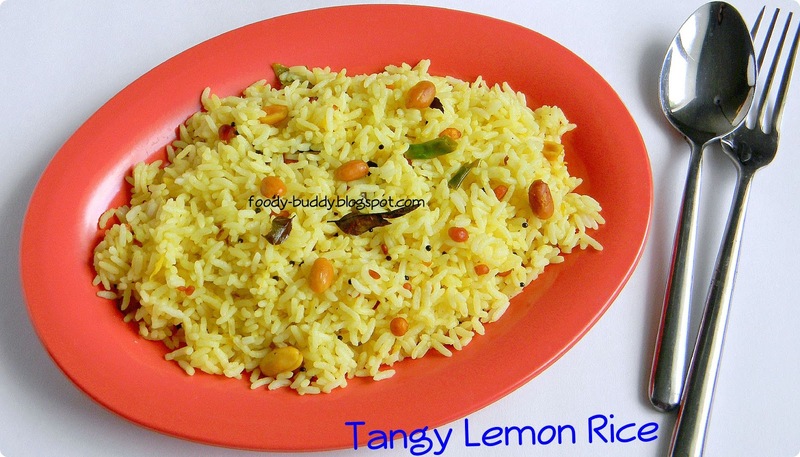 This tangy rice prepared with lemon juice refreshes the palate.Lemon rice is very easy to prepare.But the proportion of lime juice to salt has to be perfect for great tasting rice. Heat the oil in a pan and add the mustard seeds, urad dal, bengal gram, curry leaves, red chillies and asafoetida . Fry till the spluttering gets over and add the ginger, green chilly and peanuts. Fry for about 2 minutes. Add the turmeric powder and turn off the fire. Add the rice and salt to taste and mix well. Serve it with a potato fry. Lemon being a citrus fruit, fights against infection. Lemon lowers blood pressure and increases the levels of HDL (good cholesterol) . Lemon is found to be anti-carcinogenic. Lemon juice is said to give a glow to the skin. This entry was posted in Lunch Box Items.